In today’s business, attracting and retaining customers makes the difference between being successful and going out of business. Upon considering this matter, it becomes clear why companies are going to great lengths to impress potential customers. To keep the lights on, you must stay ahead of the competition. But how should you accomplish this? One way is to make it convenient for your customers to do business with you. Even the biggest companies in the world, such as Amazon, thrive with this strategy. Using advanced technologies, implementing self-service systems and becoming more accessible are a few of the solutions businesses like Amazon use. One of the easiest ways to tick all those boxes is to implement online appointments. But how convenient are online appointments for customers? The first benefit of online appointments is that it saves time for everyone. The customer no longer has to call and spend precious minutes trying to reach you and provide you with all the necessary information to make the appointment. That takes around 8 minutes on average, and most customers would appreciate not having to spend so much time on the phone trying to fit an open appointment time into their schedule. With online scheduling, they don’t have to worry about that. The system will store their general information. So they don’t have to fill it out every time, and they can see times of availability at a glance. Making appointments via phone can be unnecessarily complicated if the customer keeps their calendar on their phone. Of course, it’s best if the customer can write out their available times for reference before making the call, but that’s not what convenience is all about. If they have to try to bring up their calendar mid-call, they might accidentally disconnect, causing more lost time and inconvenience. The situation is entirely different with online scheduling. Where the customer can make an appointment at their convenience and immediately put it in the calendar. It can help to reduce no-shows, especially if re-scheduling is just as easy. In addition to significantly cutting the time a customer needs to book an appointment and making it easier to use, an online scheduling system is also always accessible. That means that the customer doesn’t have to wait for the open business hours when everyone else will be trying to make an appointment, too. Scheduling an appointment online presents no such difficulties. If they wanted, customers could make the appointment from their bed before they went to sleep. Then the business would receive the notification about the appointment being scheduled. Ready to Provide Convenience to Your Customers? When it comes to customer convenience, nothing beats providing the clients the ability to schedule appointments whenever it works for them. If you wish to be praised by your customers, make the first step by going online and becoming available for appointments 24/7. 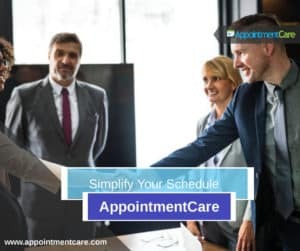 At Appointment Care, our scheduling software helps you improve the customer experience by letting you wield the power of automation, which your customers will surely appreciate. 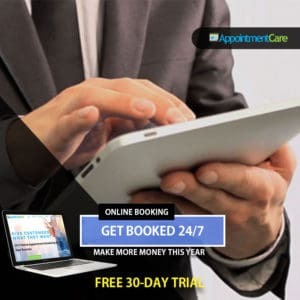 Start your free trial, and reap the benefits of providing a great customer experience by implementing online appointments. No Replies on How Convenient Are Online Appointments for Customers?